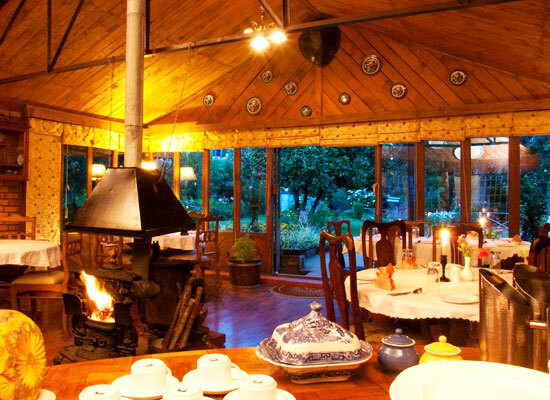 "The Lymond House, Ooty is a beautiful memory of the British colonial era. The heritage stay is nestled in the heart of the Nilgiris at over 7,000 feet in the Queen of the Hill Stations. Combining old-world charm with modern conveniences, this is the perfect getaway in the hills. Set amid green landscapes, guests feel right at home in the estate lovingly preserved for 150 years. Relax in Victorian drawing rooms with open log fires. Savor the comforts of your rooms and delicious dining. Go for walks in the town or boating, sightseeing or ride the Nilgiris Toy Train. The heritage home creates an unforgettable holiday. Dating back to 1855, Lymond House is the essence of the bygone colonial era. 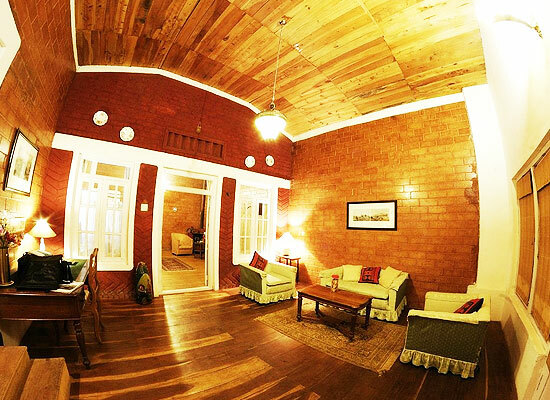 The 150 year old home is the perfect getaway in the heart of Nilgiris. Spread over two and a half acres of sprawling lawns, it is one of the oldest homes in Ooty. It belonging to one of the earliest to settle in the Nilgiris. The hosts, Saits have been wealthy traders. Junaid Sait was a planter who renovated this house for guests. Modern conveniences are fitted into the traditional Victorian décor. It is one of the best heritage stay in Ooty. Experience the days of British Era in the heritage home. The accommodation in Lymond House reminds of the colonial days. There are six en-suite luxury double rooms. Every room is furnished with antique four-poster beds, dressers and open fireplaces. The one hundred and fifty years of its existence has been lovingly preserved. Each room is named after the houses that the Sait family owned in the region. The luxury room is named after a historic town in Ireland, Tipperary. The en-suite double room is equipped with an antique bed, dresser and a fireplace. Westbury is an en suite double room which gets its name from an English town. You can relax, sitting by the window that overlook the garden. Just like its name suggests, Grace is an effortlessly beautiful garden suite. 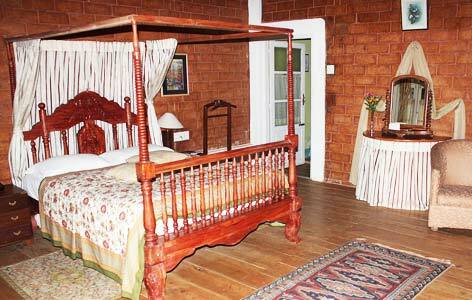 The charming room has a lavish bedroom, en-suite bathroom and adjoining sitting room to enjoy the garden view. Named after an Egyptian goddess with the symbol of a lotus, Iris is an exotic garden suite. It has a sitting room and bedroom adorned in antique décor with furnishings of the modern times. 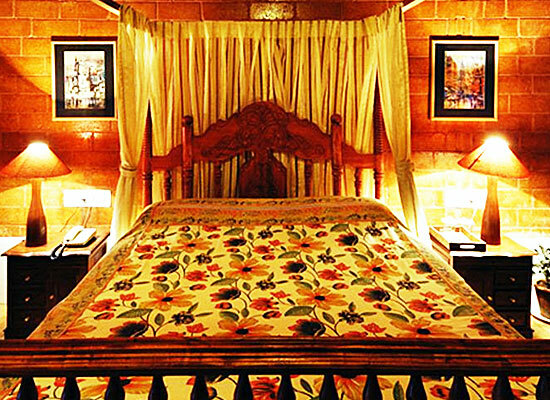 Borrowed from the obsessive love for the rich flora of The Nilgiris, the garden suite, Flora is a lavish accomodation. Similar to the other garden suites, the sitting room opens out to a garden. The modern day amenities makes your stay quite blissful. The multi-cuisine restaurant at Lymond house is not just food but an experience. The delicious platter of cuisines are prepared from fresh produce of the gardens. The vegetables, hand-picked herbs guided by the chef's passion creates a menu that ensure savory delights. The melody of soft classics play in the background while you indulge in the sumptuous meal. The menu emphasizes on the local cuisine known as Badga along with continental specialties. Get a taste of food and take back a piece of the soul of Nilgiris! Ooty, often referred to as the ‘Queen of Hills’, is a picturesque hill town in Tamil Nadu. This popular hill station is the district capital of the Nilgiris district. Ooty tourism is considered as the backbone of the economy along with the culture. As a result, Ooty tourism is a budding industry and is located in proximity to a number of destinations. One can easily drive down to Ooty from Mysore, Coimbatore, Bangalore, Erode and Salem etc.